Simmons tore his ACL in February and was spotted on camera punching a woman in 2016. As the Green Bay Packers continue to scout and interview with prospects during the lead-up to the 2019 NFL Draft, a host of players are coming to Lambeau Field this week for top-30 visits and local workouts. Many of them we know about because of media reporting, but in today’s social media age, several players are breaking news themselves. 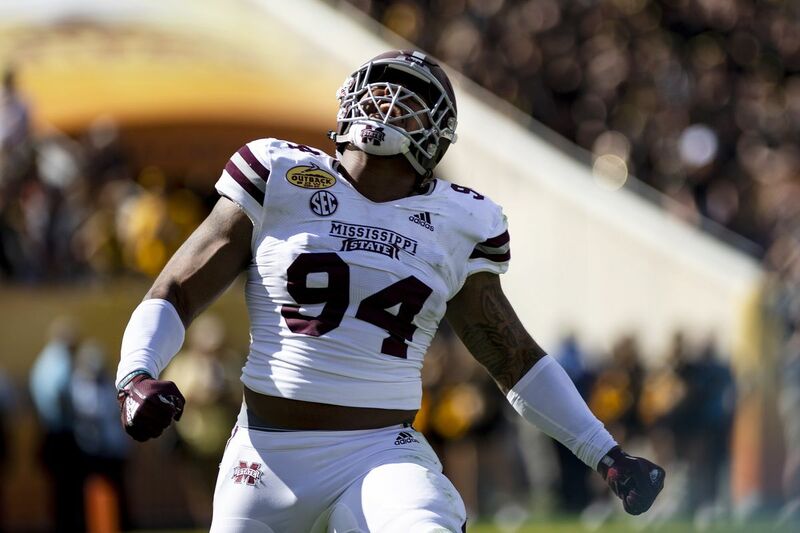 Simmons was a highly disruptive presence for the Bulldogs, starting in Starkville for three years. He had seven sacks in that time, all coming in his final two years with five in 2017 and two in 2018. He also had double-digit tackles for loss in both seasons, with 12 in 2017 and 18 in 2018. However, Simmons has both injury and off-the-field red flags. During his workouts in preparation for his Pro Day, Simmons suffered a torn ACL. Therefore, he is widely expected to spend his rookie season on injured reserve, with only a small chance of recovering in time to play in 2019. Simmons was not scheduled to attend the 2019 NFL Combine because of a violent incident during his final year of high school. Simmons repeatedly punched a woman in the street near his home in March of 2016, and the incident was recorded on a video camera. He has reportedly been a model citizen at MSU since arriving on campus — sentiments from both head coaches he has played for — but that incident will surely come up during interviews in today’s visit. In the past, the Packers have used top-30 visits to bring in and interview prospects with significant off-the-field issues. In 2017 they brought in Oklahoma running back Joe Mixon, who also punched a woman and had the incident recorded on video, and in 2016 they brought in Eastern Kentucky edge rusher Noah Spence, who was dismissed from Ohio State after multiple failed drug tests. Monday Cheese Curds: 2019 NFL Draft week has finally arrived We’re almost done with speculation — almost — and ready for the Draft to finally get underway. Packers Draft History: Ron Wolf found a franchise left tackle at pick #44 The Packers have made five selections at 44, but one stands head and shoulders above the rest.